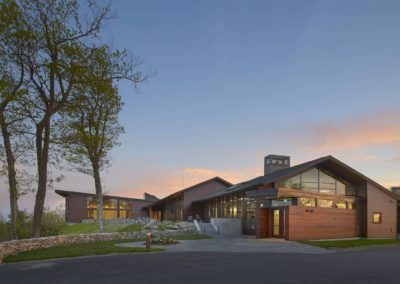 Jury comments: This year’s Honor Award recognizes thoughtful human-scaled architecture that successfully integrates its building components with the land. 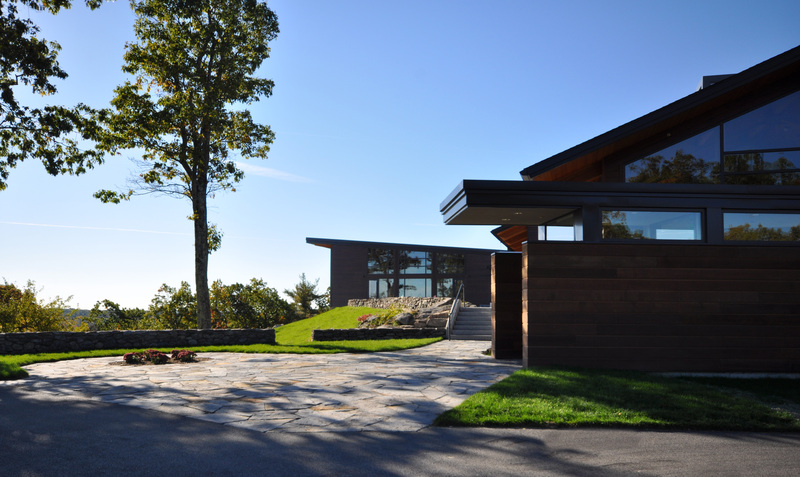 The architecture is expressed with simple materiality reflecting its quiet intended purpose. 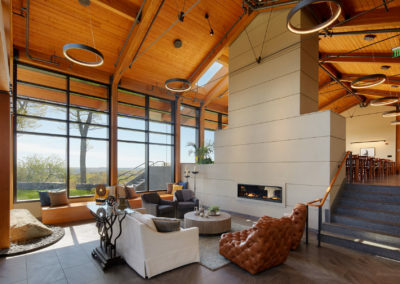 This is architecture with a capital “A”. 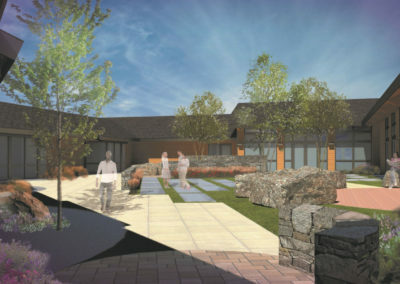 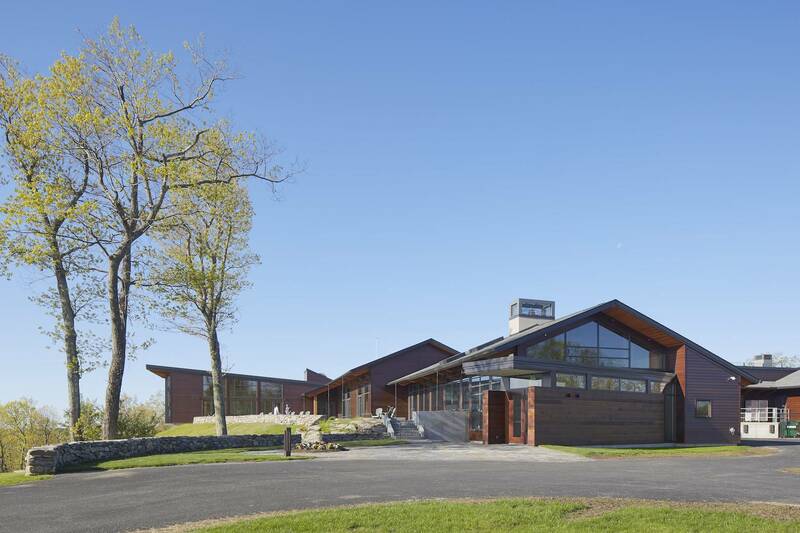 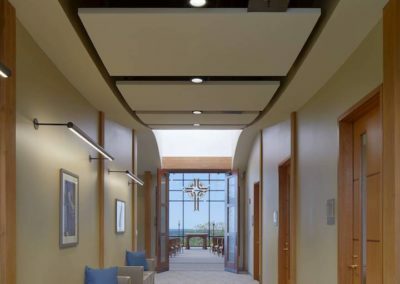 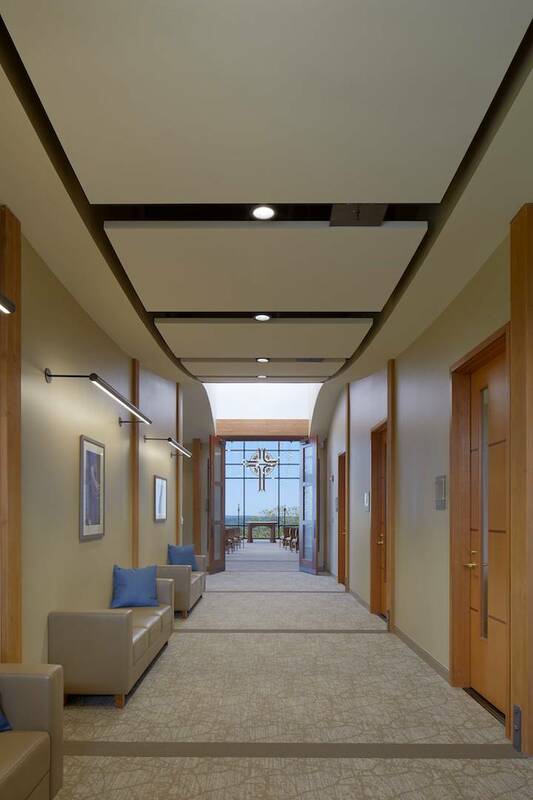 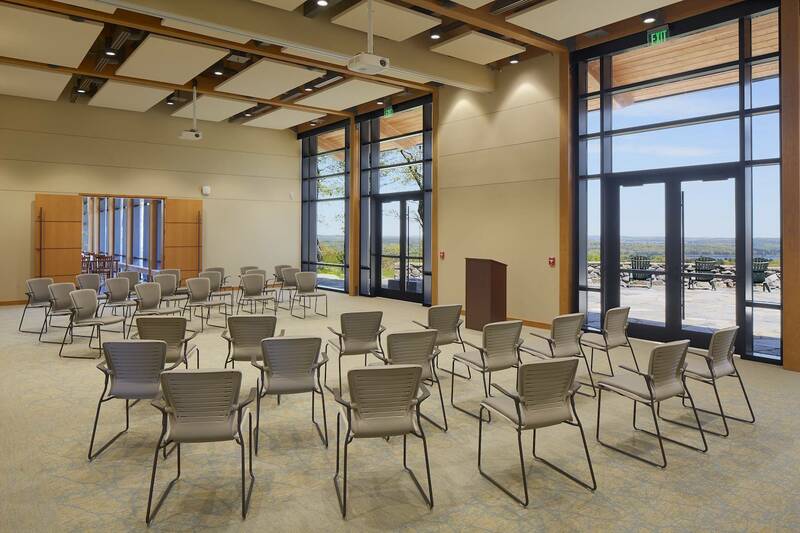 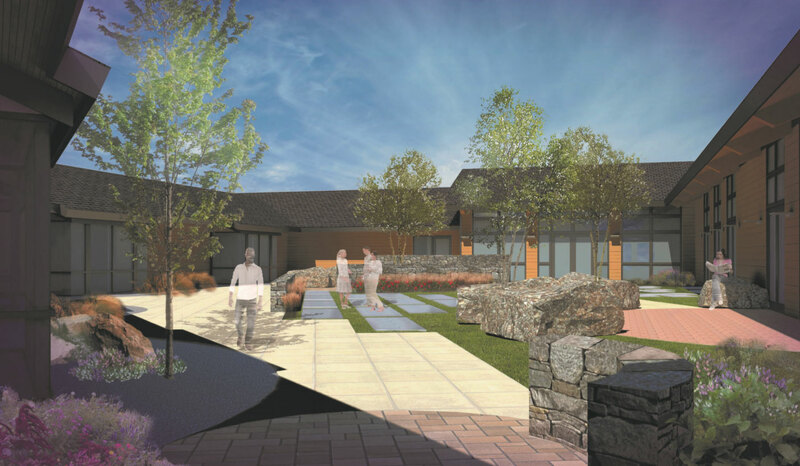 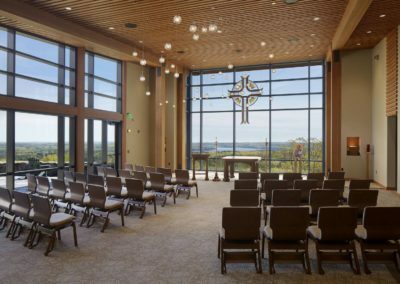 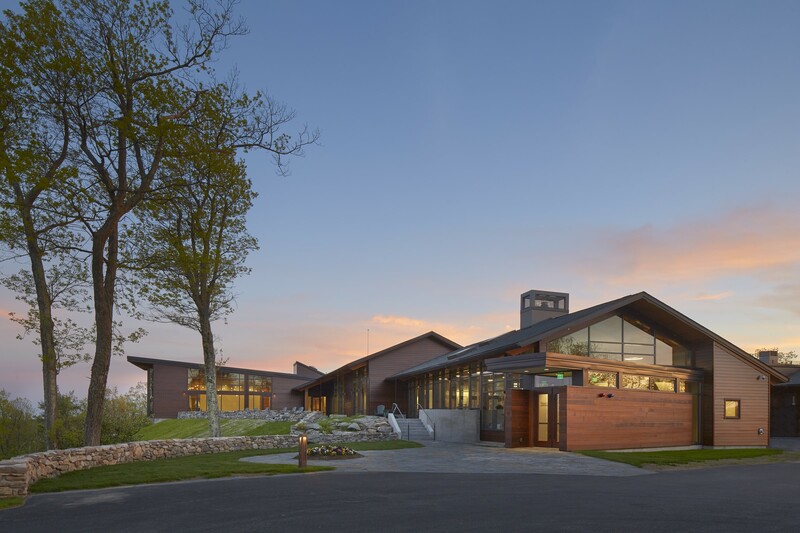 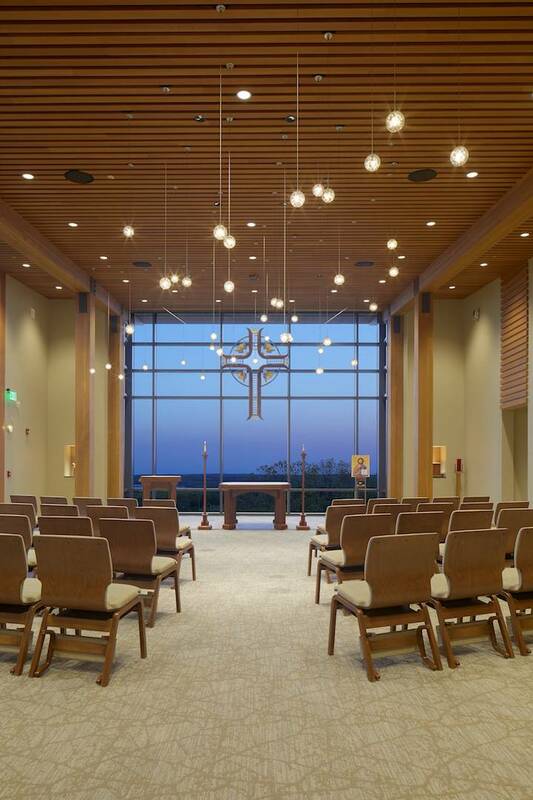 Completed in fall of 2016, the William J. Masiello design team worked as design architects with Lamoureux Pagano & Associates Architects for the College of the Holy Cross’ Thomas P. Joyce ’59 Contemplative Center. 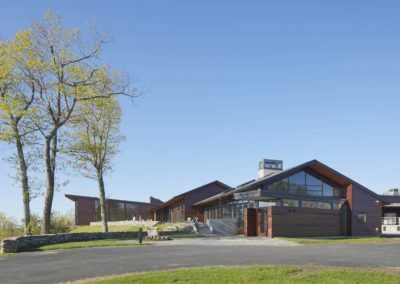 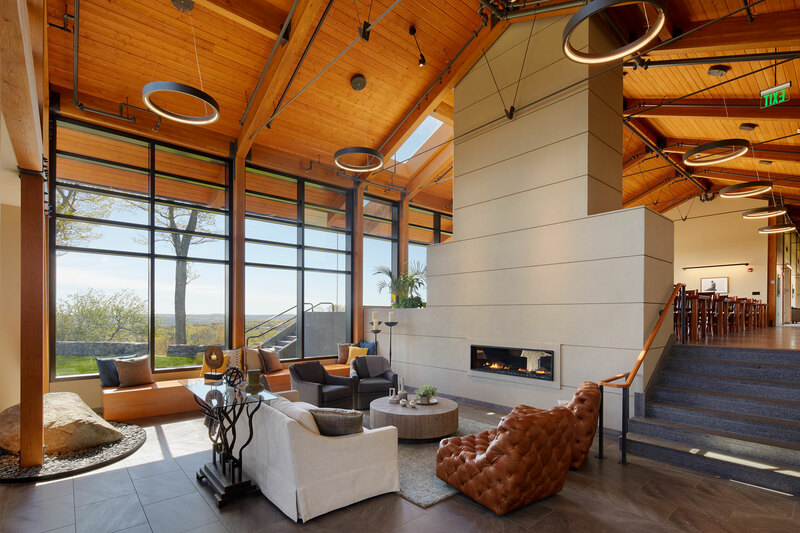 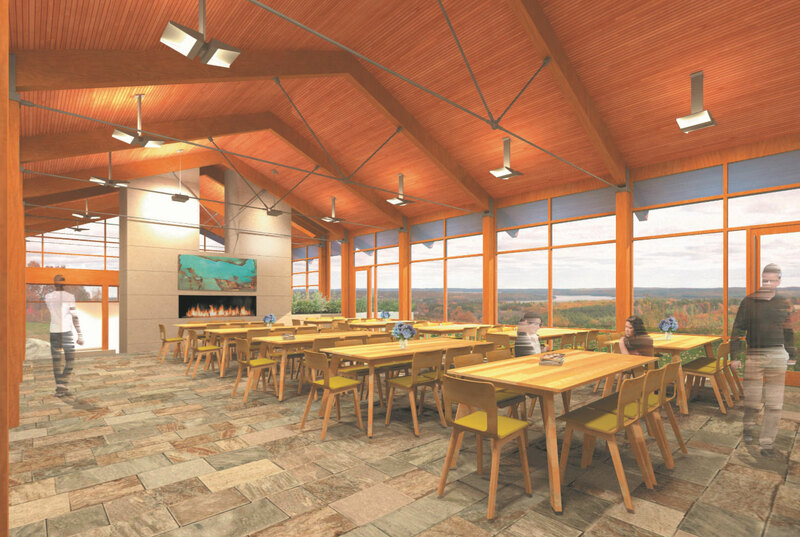 This innovative 33,800 square foot facility is located atop a 52 acre parcel with serene views of the Wachusett Reservoir. 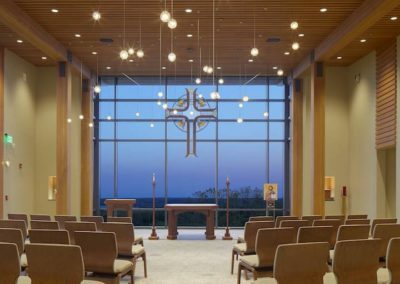 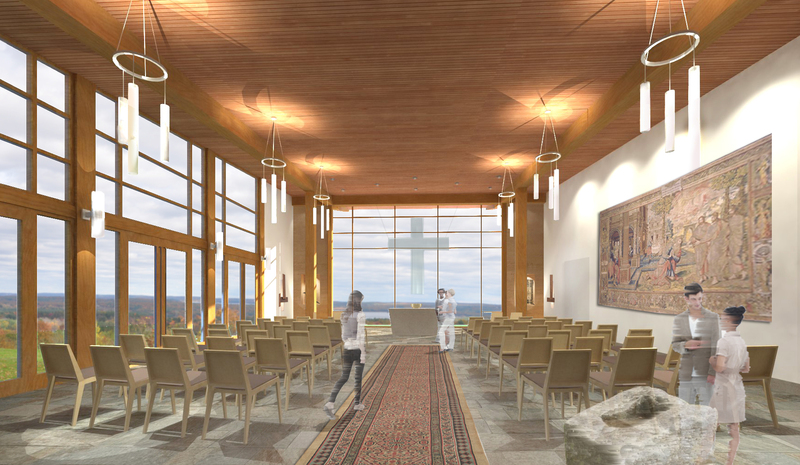 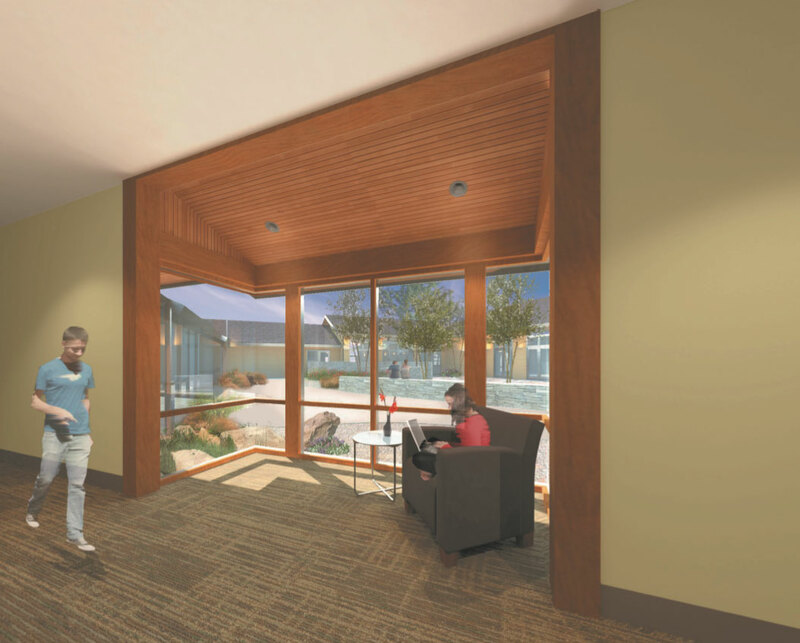 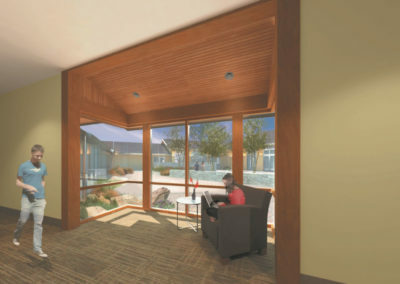 The program was designed to meet the needs of the Holy Cross retreat experience and includes a chapel, large and small meeting rooms, a dining hall, and bedrooms for up to 60 guests. 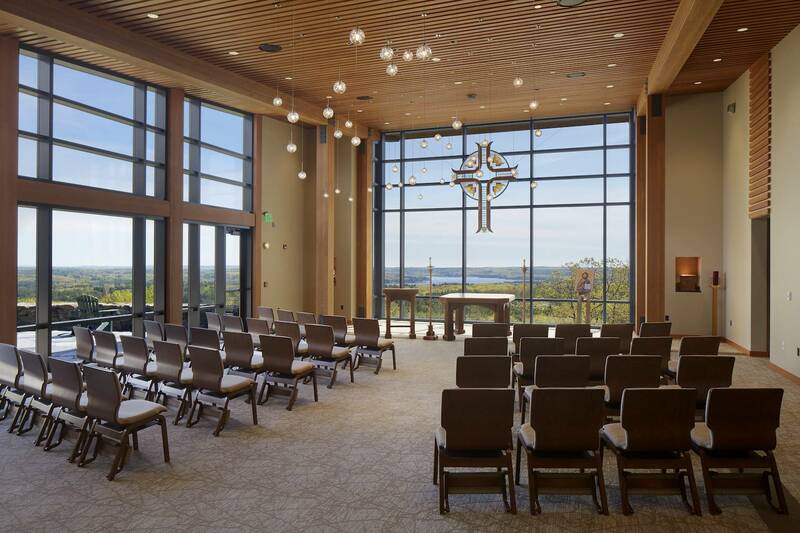 The building provides a unique experience for overnight and weekend retreats, days of prayers, as well as other spiritual exercises. 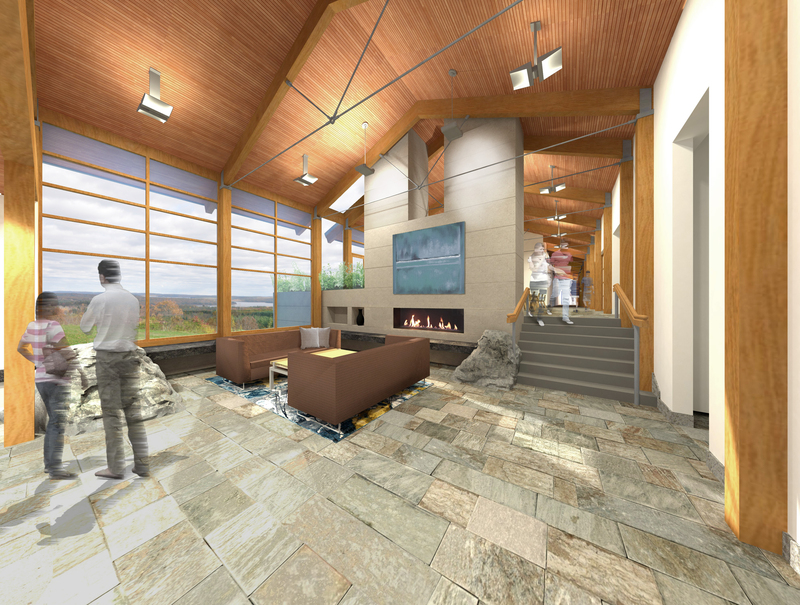 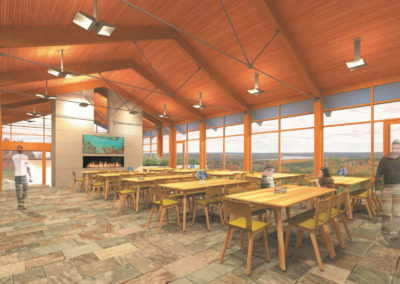 The design intent was to enhance the individual’s experience through architectural elements that include the use of natural and tactile materials, captured views of the reservoir, and working with the site’s natural topography and exposed ledge outcroppings to emphasize the balanced spiritual relationship between the creator, man and nature.